“As the U.S. health care system continues to evolve, sleep specialists have an increasingly important role to play in the diagnosis and treatment of chronic conditions that impact health, quality of life, performance and safety,” said Dr. Ilene Rosen. Today, Dr. Ilene Rosen became the 32nd president of the American Academy of Sleep Medicine (AASM) board of directors. Rosen assumed the role during SLEEP 2017, the 31st annual meeting of the Associated Professional Sleep Societies LLC (APSS) in Boston. She will serve a one-year term. To improve access to high quality care for patients who have a sleep disease, Rosen will lead the 10,000 physicians, scientists and allied health professionals who are members of the AASM, the leading professional society in the medical subspecialty of sleep medicine. Rosen is the program director of the University of Pennsylvania Sleep Fellowship and an associate professor of clinical medicine for the Perelman School of Medicine at the University of Pennsylvania in Philadelphia. She also serves as an assistant dean for graduate medical education. Rosen has clinical expertise in diagnosing and treating sleep disorders such as obstructive sleep apnea, and her educational and research focus has been on the sleep habits, health and performance of residents. Currently she is exploring the use of telemedicine to promote sleep medicine education in health care training as the principal investigator of a study that is funded by the National Heart, Lung, and Blood Institute (NHLBI) of the National Institutes of Health (NIH). 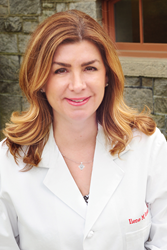 Rosen completed her fellowship and residency and earned her medical degree and a Master of Science degree in clinical epidemiology from the Perelman School of Medicine at the University of Pennsylvania after earning her bachelor’s degree in neuroscience from Duke University. She is board-certified in sleep medicine and pulmonary medicine. An AASM member since 2000, Rosen has served on the AASM board of directors since 2011 and on the Executive Committee since 2014, including a one-year term as president-elect. She also served as the inaugural chair of the AASM’s Sleep Medicine Fellowship Directors Council and as the AASM representative to the American Board of Internal Medicine (ABIM) Liaison Committee on Certification and Recertification. About 70 million Americans suffer from a sleep problem, and nearly 60 percent of them have a chronic sleep disease such as obstructive sleep apnea. The effective treatment of a sleep disease reduces associated health risks and improves quality of life by restoring healthy sleep, boosting daytime alertness and concentration, increasing physical energy and reducing feelings of depression. To arrange an interview with Dr. Rosen, or for more information about the AASM (http://www.aasmnet.org), please contact Mary Velan at 312-565-4631 or mvelan(at)lcwa.com. Established in 1975, the American Academy of Sleep Medicine (AASM) improves sleep health and promotes high quality, patient-centered care through advocacy, education, strategic research, and practice standards. The AASM has a combined membership of 10,000 accredited member sleep centers and individual members, including physicians, scientists and other health care professionals. For more information, visit http://www.aasmnet.org.